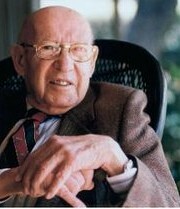 Peter Drucker is renowned as the founder of modern day management. The words “innovation” and “entrepreneurship” are usually associated with chance or luck. Drucker dismisses this notion and makes it evident that innovation and entrepreneurship are principles that can be measured and learned if effective strategies and practices are applied. "Entrepreneurs see change as the norm and as healthy. Usually, they do not bring about the change themselves. But—and this defines entrepreneur and entrepreneurship—the entrepreneur always searches for change, responds to it, and exploits it as an opportunity." Innovation and Entrepreneurship was originally published in 1985, however the practices and teachings are still relevant today. This book is split into three distinct sections: the practice of innovation, the practice of entrepreneurship, and entrepreneurial strategies. In the practice of innovation Drucker discusses the importance of constantly innovating and actively searching for opportunities, as it is necessary for survival in the marketplace. In the second section, Drucker highlights the notion of entrepreneurial leadership and how it is necessary for any innovations to be successful in business, service institutions or new ventures. In the third section Drucker shares the best strategies to introduce innovations to the marketplace. "Entrepreneurs innovate. Innovation is the specific instrument of entrepreneurship. It is the act that endows resources with a new capacity to create wealth. Innovation, indeed, creates a resource. There is no such thing as a “resource” until man finds a use for something in nature and thus endows it with economic value." Through Drucker’s definition of innovation it is clear that the one who “innovates” is merely taking something that has already existed previously and positioning it in a way that will create value and therefore, generate wealth. Systematic innovation is purposeful and is an organized search for change. Wherever an innovation is introduced it changes the economy from a supply driven to a demand driven economy. The first four of these sources lie within the enterprise, whether it be business, public-service institution or within an industry or service sector. Which means they are usually only visible to the people within that industry. They can be thought of as the symptoms, and therefore reliable indicators of changes that either have happened or could be pursued. The last three sources of innovative opportunity involve the changes that reside outside the enterprise or industry. Start with an analysis of all the opportunities: think through the sources of innovative activity. Innovation is conceptual and perceptual. Go out to look, to ask, to listen. To be effective, be simple and be focused. Effective innovations start small. Do one specific thing and then be able to adapt. Aim at leadership in an industry or market. If not, you will create an opportunity for the competition. Don’t try to be clever: aim at ordinary human beings. Don’t diversify, don’t splinter, don’t do too many things at once. Don’t innovate for the future: innovate for the present! "Entrepreneurial businesses treat entrepreneurship as a duty. They are disciplined about it they work at it, they practice it." Drucker makes it clear that entrepreneurship and innovation can be achieved by any business if it is a priority and consciously strived for. Both disciplines can be learned through effort and commitment. When it comes to business operations of any size, there will always be conflicting priorities or a daily crisis that must be dealt with right away and cannot be postponed. This is why it is pertinent for the disciplines of innovation and entrepreneurship to be deeply rooted and baked into the organization and set as a priority. The organization must be receptive to innovation and perceive change as an opportunity rather than a threat. Policies and practices are necessary to create an entrepreneurial climate in the business. The systematic measurement or appraisal of a company’s performance as an entrepreneur and innovator is mandatory, as well as built-in learning to improve performance. Entrepreneurial management requires specific practices pertaining to organizational structure, to staffing and managing and to compensation, incentives and rewards. Do not mix managerial units and entrepreneurial ones. Innovative efforts that take the existing business out of its own field are rarely successful. It is almost always futile to avoid making one’s own business entrepreneurial by “buying in,” that is by acquiring small entrepreneurial ventures. Through the principles of innovation, the principles of entrepreneurship and entrepreneurial strategies Drucker has taken the notion of innovation and entrepreneurship and bottled it into a formula. It is essential for the future of the business to focus on the day-to-day business operations but also invest in their future through consistently innovating and creating a culture of entrepreneurial spirit. In today’s corporate driven society we view entrepreneurs as risk takers. Drucker however sees it the opposite, that an entrepreneur is not a risk taker per se, but rather one who has managed the risk that they are going to be embarking on. Do you consider an entrepreneur to be a risk taker or one who has managed the risk they will be embarking on?